The New Belgium Race League will be holding races on Monday Evenings at Mt. Holly (January 14 - February 25) and Tuesday Evenings at Pine Knob (January 15 - February 26), starting at 7:30 p.m. 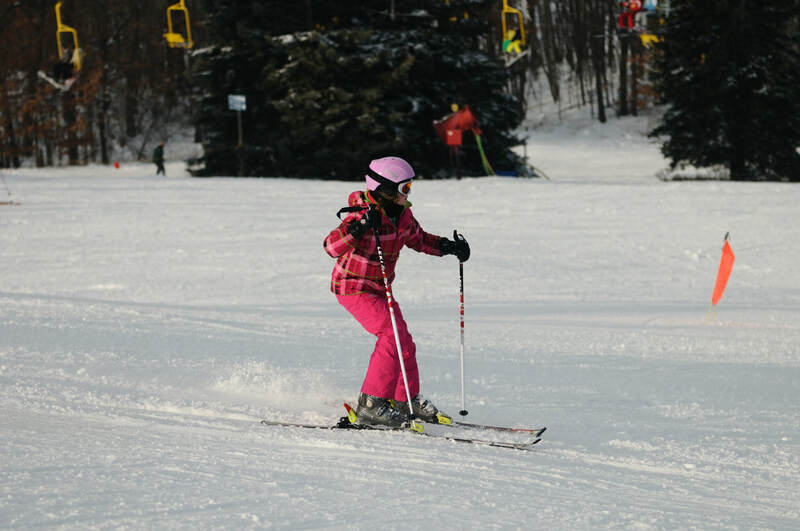 The Monday Night Pine Knob Slalom Sisters starts January 14. For seven weeks alpine skiers will gather to race . This popular Sunday Morning Series allows athletes to race in their own age group for single races as well as collect season-long "World Cup" points. Weekly prizes and medals are awarded to athletes of all ages. The first gathering occurs at Pine Knob and then will alternate with Mt. Holly for a total of seven races. 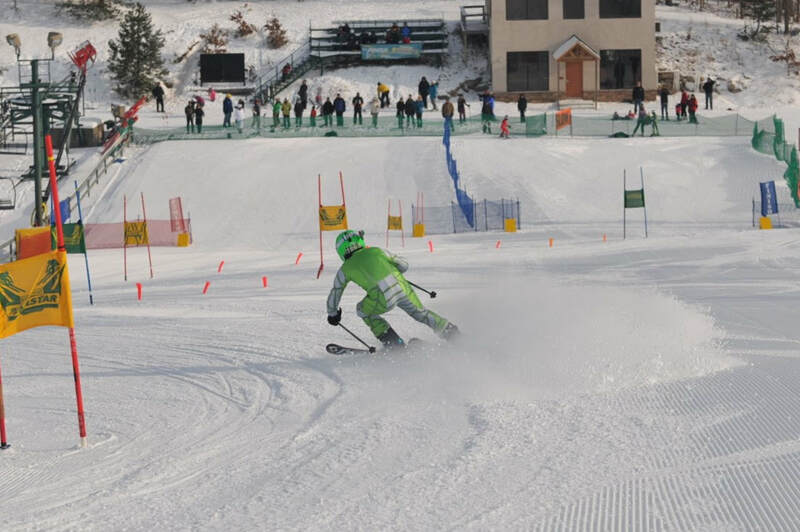 Races this year will be expanded to include easy slalom races and a combo if conditions permit. The New Belgium Race League will be holding races on Monday Evenings at Mt. Holly (January 14 - February 25) and Tuesday Evenings at Pine Knob (January 15 - February 26), starting at 7:30 p.m. Weekly race parties, prizes, and season end Awards Nights included. Join in on the fun at one or both resorts. Race leagues are for all abilities and racers save on lift tickets when they purchase the seven week program. Our Monday night slalom-only race program for women starts January 14 and runs for for six weeks. Cost: $285.00 per person. What is Gate Training? Check it out. Note: All gate racers must have a chin guard. Get Your Thunderbolt Team Gear Here! SHOP HERE Perfect for gift giving, stock up on your brand new winter apparel. Share the Thunderbolt spirit! This six-week Junior Development racing program will begin between January 10 and 12, 2018. This is our base level of commitment for skiers of all abilities and race experience. It is intended for grades K - 8. Our successful and most popular program will remain the same plus all Sunday Morning Race Series are included in the price along with a Thunderbolt T-shirt. Racers will be grouped by age, ski ability and race experience. 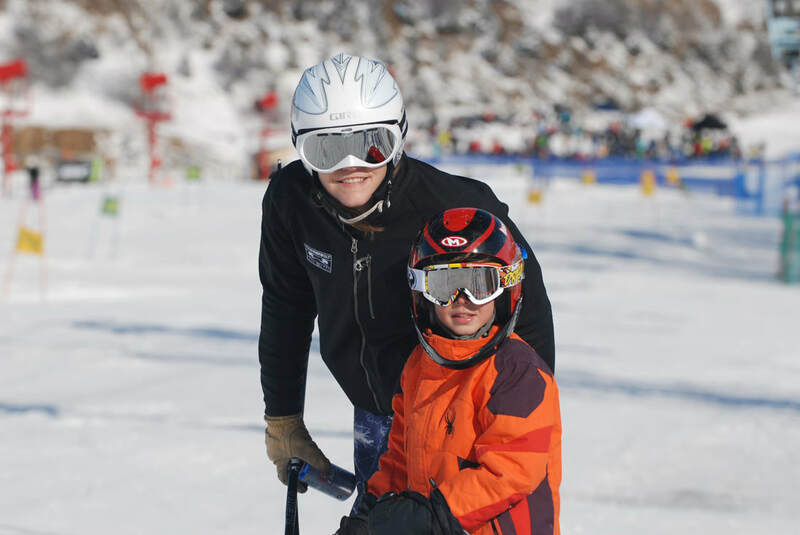 We will work on free skiing drills each week for 45 minutes and then be in the gates using gate drills and full courses. We will start with Giant Slalom (larger turns) on week one and alternate between slalom (short turns) and giant slalom. Prices and details are in the 2018-2019 Brochure. ​Our biggest night on snow! The middle school program will follow the same program as our junior development program and will begin on Wednesday, January 9th for 6 weeks. Also included is the Sunday Morning Race Series being included in the price and a Thunderbolt T-shirt. This is our popular race series where athletes can race in their own age group for single races as well as collect season long “World Cup” points. Weekly prizes and medals are awarded to athletes of all ages. ​The Sunday Race Series runs for seven weeks beginning at Pine Knob and alternating with Mt. Holly for seven total races. This year we will be adding easy slalom races and a combi if conditions permit. Racing starts at 10:00 a.m. Embrace new adventures, develop life skills, and enjoy the spirit of community with Thunderbolt Racing. Gravity is love and every turn is a leap of faith.